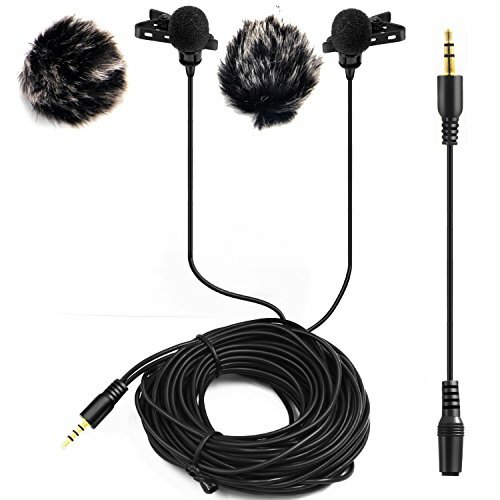 Professional lavaliers mic for smartphones, SLR Canon EOS camera,Nikon, Sony camcorders, A7S,A7,A7R ,A9,Zoom,Tascam audio recorders, Smartphones,PC etc. High-quality condenser is ideal for video use. NOISE CANCELLING FOR FLAWLESS RECORDINGS. 100% SATISFACTION GUARANTEED ­ If you are not absolutely happy, for any reason, with your experience recording on our lavalier microphones, simply send it back for a full refund. No questions asked! But better, please write to us and we will do our best to solve your problem. If you have any questions about this product by Nicama, contact us by completing and submitting the form below. If you are looking for a specif part number, please include it with your message.